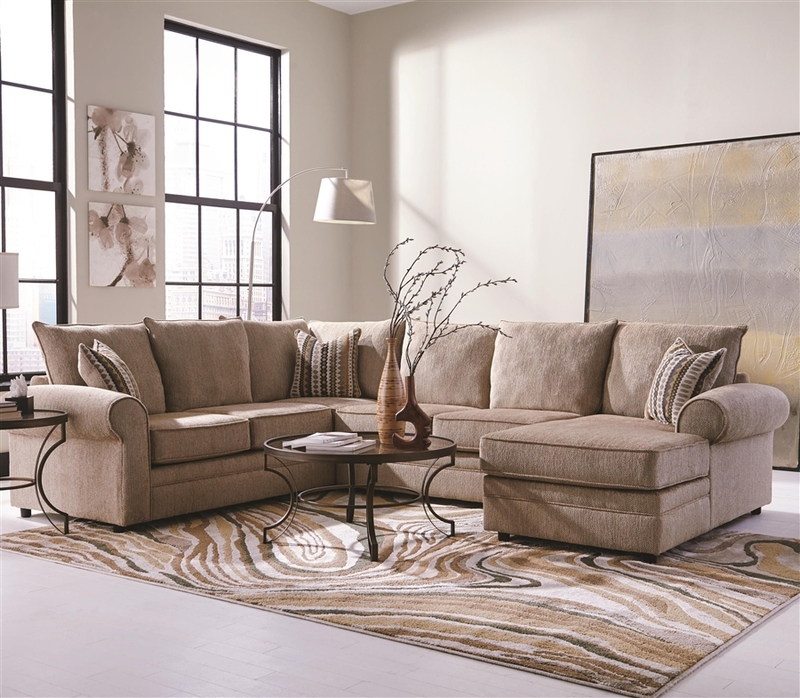 This Westwood Chenille Sectional by Coaster - Model COA-501001 "versatile, durable, and carefully designed." This top selling 4-piece set is now new and improved and will make a wonderful addition to any home. Its design allows the widest range of possibilities. The look and texture of chenille fabric adds a natural, rugged look to this set. See other features, fabric couch sets, and group configurations below.